Originally incorporated in 1969 by the late Mrs. Mary Brown, Mr. Jacob Landry, Mrs. Nancy Jordan and others, it was then revived in 2006. Since its inception, the Iberia Cultural Resources Association has played a major role in broadening the intellectual awakening of the community. "There are organizations that make up a community. There are others that define it…Iberia Cultural Resources Association." Books Along the Teche Literary Festival from jon rabalais on Vimeo. "New Iberia is a Center for Visual Art, Culture, History, Literature, Music and Performing Arts and Preservation." Stories and Recollections from Iberia Parish, Louisiana"
In 2008 nine historical bronze markers were dedicated by Iberia Cultural Resources Association and presented to the city of New Iberia. A new group of twelve historical markers was dedicated on November 18, 2012. 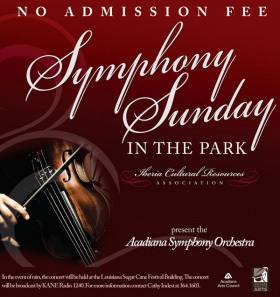 Iberia Cultural Resources Association sponsors four free concerts a year by the Acadiana Symphony Orchestra. 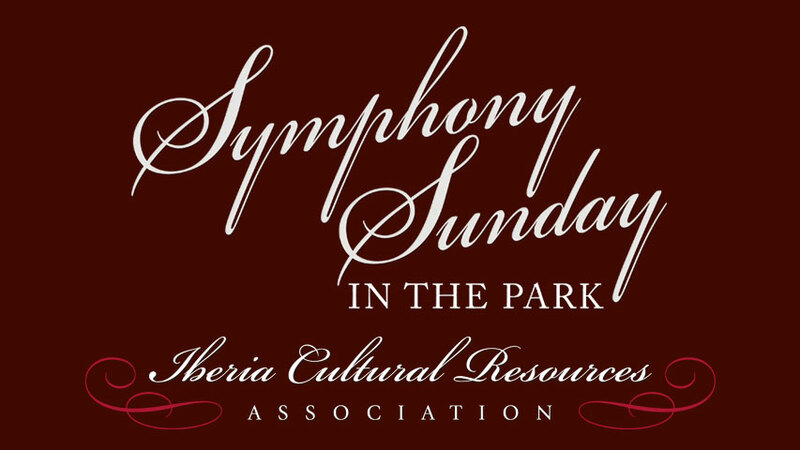 This concert season includes a Christmas concert entitled “Sounds of the Season,” a classical chamber music concert called "A Prelude To Spring" held in the winter, an outdoor spring concert called “Symphony Sunday in the Park,” and a patriotic concert entitled "Stars And Stripes-A Musical Celebration" in June. Iberia Cultural Resources Association holds four meetings a year and each meeting features a special program. 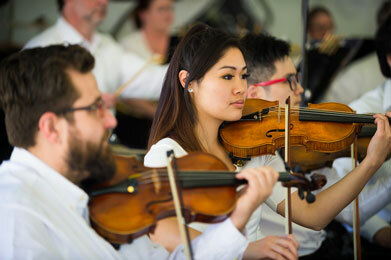 While some are musical programs, most presentations consist of lectures on subjects such as history, literature, theatre, cuisine, and architecture. "Books Along The Teche Literary Festival - Celebrating New Iberia, Dave Robicheaux's Hometown"
We are asking everyone to consider what arts and culture mean to you and help by becoming a member or making a donation.